When Wendell Davis committed to Pitt in June of 2017, the Panthers realized right away they had gotten a good one. The three-star prospect, according to rivals.com, is a 6-foot-2, 215-pound linebacker from Richmond, Virginia, and one of 17 players to sign their National Letters of Intent to Pittsburgh on Dec. 20. The selection of Pitt comes over some major offers, including Boston College, Duke, Michigan State and UCF. Davis’ play is characterized as relentless, and his choice in angles and speed are tactful. Davis’ abilities will add to a strong Pitt run defense already. The Panthers only allowed 142.4 yards per game last season, fifth in the ACC and 41st in the nation. Still, he emphasized the importance of the Panther’s defensive system being a strong fit for his play. Davis will have plenty of competition for playing time to start his career. Redshirt junior Seun Ideowu is set to return as Pitt’s star outside linebacker in 2018 after leading the team in tackles and sacks in 2017. The Panthers will also return Quintin Wirginis as their starting middle linebacker, after he missed his entire 2017 junior season with a suspension and season-ending wrist injury. Redshirt sophomore Saleem Brightwell will likely be the Panther’s next option, after finishing 2017 as the team’s second leading tackler while Wirginis was out. This year’s Pitt squad failed to meet bowl eligibility for the first time since 2007, finishing 5-7. However, the Panthers were able to finish the year with an upset over second-ranked Miami, led by freshman quarterback Kenny Pickett. Davis is not worried about the future of the program. Off the field, Davis hopes to pursue other feats. 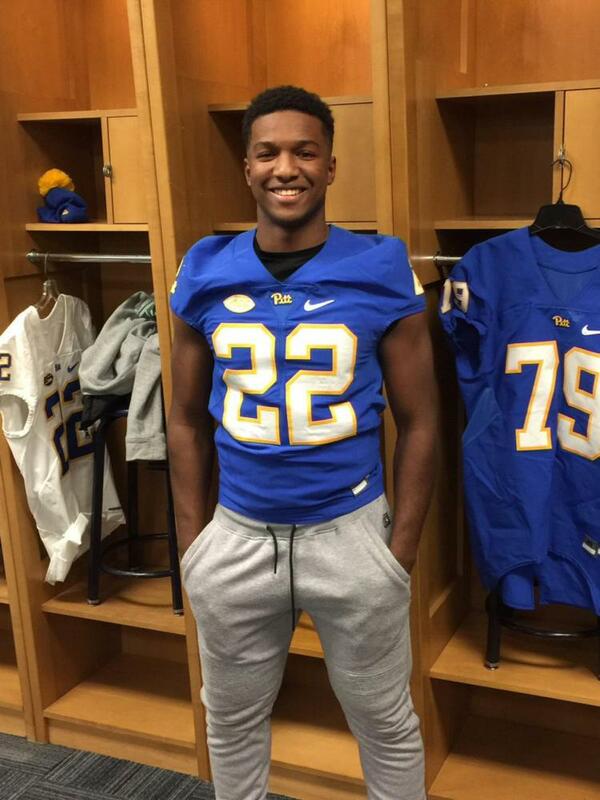 When he chose Pitt, academics played a major role in his decision. The University’s diverse academic paths stood out, particularly.